"Life is difficult," says principal Yuzo Watanabe. "We teach students to handle its hardships." 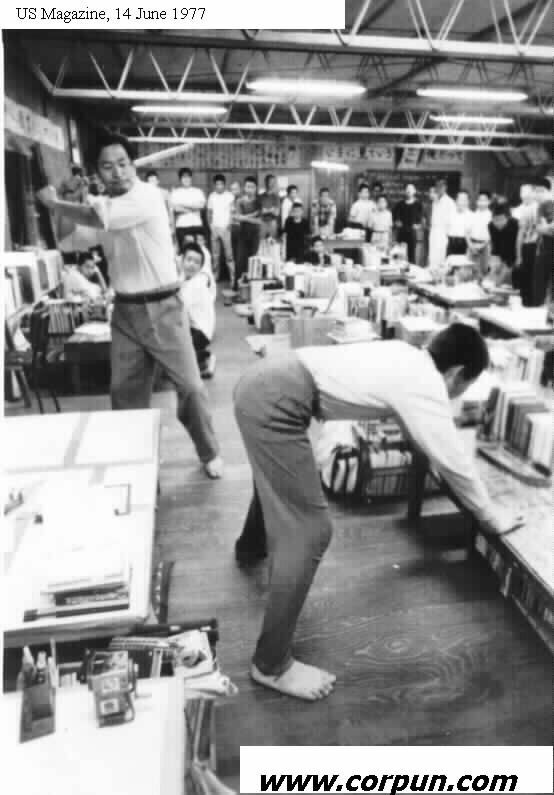 The "hardships" take the form of daily paddlings and cuffings, for which Watanabe's school is rewarded with one of Japan's longest waiting lists. In April the Supreme Court handed down a 5-4 decision that American teachers could use "reasonable but not excessive" force to discipline their students. The ruling was controversial. Many U.S. educators and parents believe that sparing the rod saves the child, and that hitting a student is likely to do a lot more harm than good. Not so in Japan, where the age-old concept of konjo is alive and well. Konjo is a disciplinary process intended to instill in young boys a sense of strong spirit. The leading practitioner is Mr. Yuzo Watanabe, director of the Watanabe School in Nirasaki, a small town about two hours northwest of Tokyo. Says Watanabe of the value of his controversial program, "When they find life difficult, the students will not complain. With a strong spirit they will overcome any obstacle." 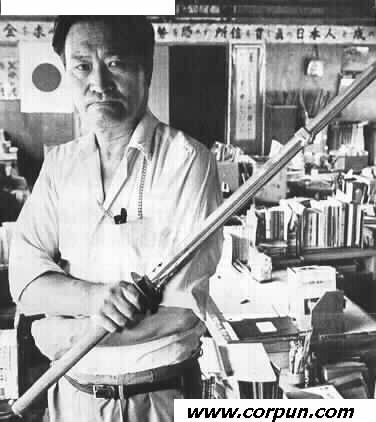 The Watanabe School operates on a single, ever-present principle: a long bamboo sword called a shinai. When a student answers a question incorrectly, or when he steps out of line in any way, the response is a swift hit on the backside. For many in Japan, the practice makes sense: the Watanabe School is filled with the sons of the nation's wealthiest industrialists. A school day begins at 5:30 a.m., when a public-address system that sounds like a banshee wail shocks the students out of bed. After a cold shower, they form exercise groups and out comes the bamboo. When students are struck, they must then turn and bow politely. Then it's on to breakfast for a dish of rice and bean curds. There are no academic classes at Watanabe; instead, students attend state or private schools in the vicinity. At 3:30 p.m. they return and spend three hours practicing kendo, the martial art of fencing, using bamboo staves, head guards and padded garments. Dinner is as spartan as breakfast, and is followed by a seminar in which Mr. Watanabe drills values into the students. At 10 p.m. the boys are put to bed. 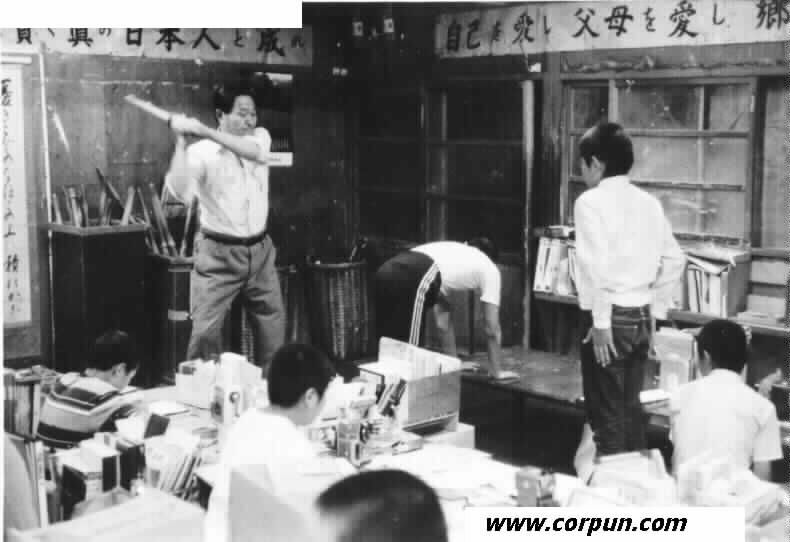 According to the Watanabe method, corporal discipline is a necessary educational tool. Swift and demanding punishment teaches "inner power" and strength. Judging from the smiles and mischievous glances, it appears to do no harm. The boys accept the rules of the game: "not getting caught" is as much a challenge here as anywhere. Mr. Watanabe also accepts the rules. He admits that the hitting and the severe discipline can be "inhuman and foolish." He believes, though, that inner strength and responsibility are not easily taught and that a boy must learn early to accept the authority of a teacher. "This school is the best way to lead the boys," says Watanabe. "And this is something only understood between each boy and myself."